Kathakali is one of the oldest theatre forms in the world. It originated in the areaof southwestern India now known as the state of Kerala. Kathakali is a group presentation, in which dancers take various roles in performances traditionally based on themes from Hindu mythology, especially the two epics, the Ramayana and theMahabharata. Kalaripayattu-the oldest of martial arts-is a gift to the modern world and known as the mother of all martial arts. Legend traces the 3000-year old art form to sage Parasurama-the master of all martial art forms and credited to be the re-claimer of Kerala from the arabian sea. 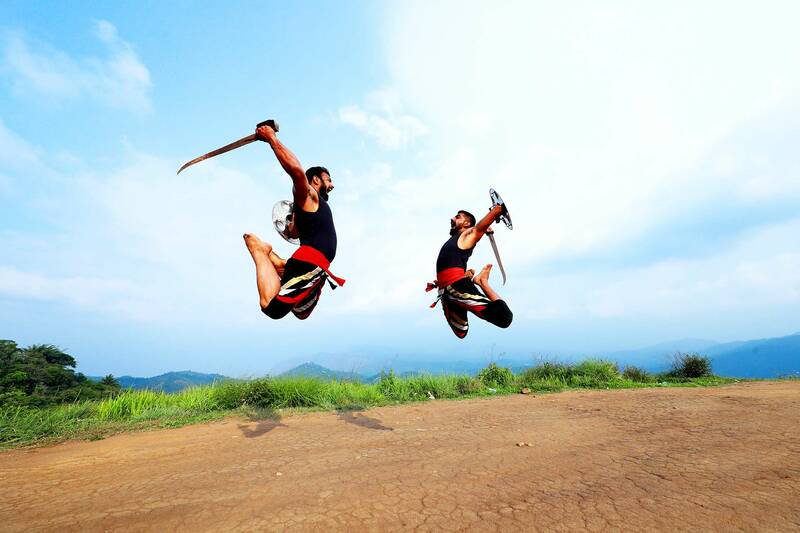 Kalaripayattu originated in ancient south India. Kung-fu, popularized by the monks of the shaoline temple traces its ancestry to Bodhi Dharma-an Indian Buddhist monk and Kalaripayattu master. Idukki District, Kerala, South India.